Our Bluebird gift boxes have now turned a beautiful shade of light blue, we have also updated the design of the gift box so that they are no longer a standard opening cardboard box but instead a traditional shoe box style with a removable lid and held closed with raffia string. These boxes look and feel very special making them absolutely perfect to send your care package as they are guaranteed to make the recipient smile when their gift arrives through the post- we are certain that you will love them too. You can create the perfect care package for you loved ones by picking some lovely treats to fill your shoe box with, everything will be kept nice and safe tucked up beautiful hamper filler and will be tied with string so that it arrives looking wonderful and guaranteed to brighten up their day. After the package been emptied of all of its treats the box itself will also make the perfect little storage or memory box too perfect for keeping safe photos, train tickets or any other small sentimental/keepsake items that you care about. Why did we pick Blue for our boxes? The colour blue not only is absolutely beautiful but it has an uplifting yet calming effect on the mind, Light blue in particular is associated with health, healing, tranquility, caring and understanding! 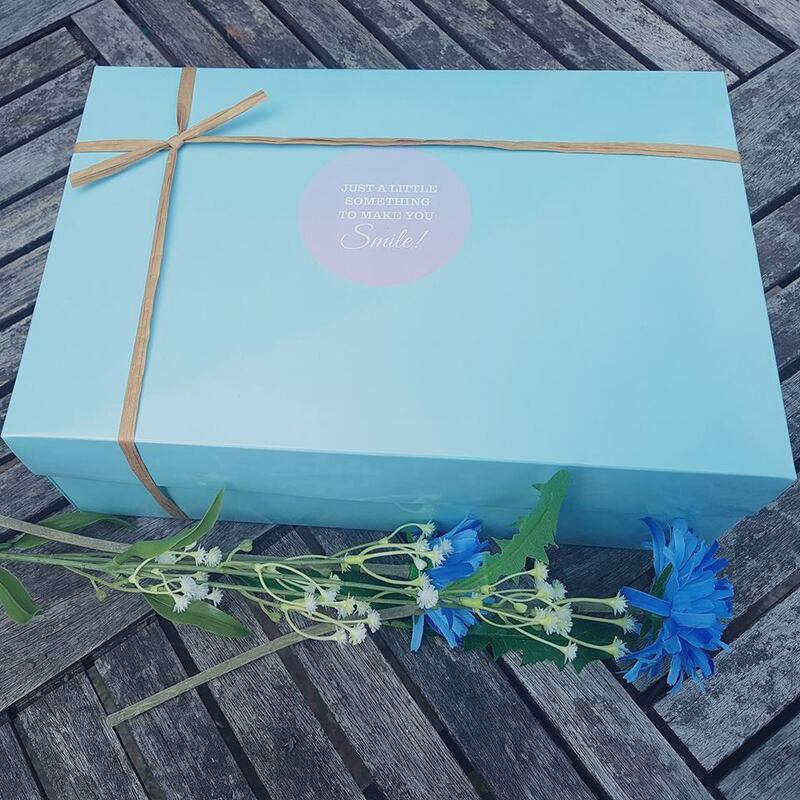 We think that this makes a lovely blue box absolutely perfect to send some lovely treats, a beautiful gift or a little pick me up package through the post.